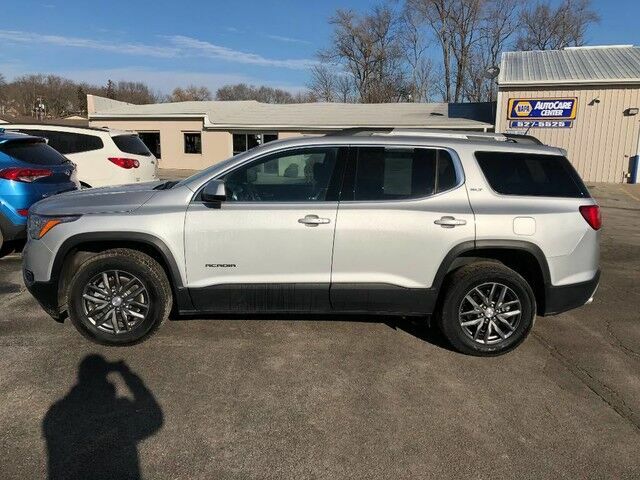 This outstanding example of a 2018 GMC Acadia SLT is offered by Barrett Auto Center. This 2018 GMC Acadia comes with a CARFAX Buyback Guarantee, which means you can buy with certainty. This GMC Acadia SLT defines excellence in an SUV. It has the convenience of limitless boundaries paired with city sophistication. Pull up in the vehicle and the valet will want to parked on the front row. This GMC Acadia is the vehicle others dream to own. Don't miss your chance to make it your new ride. Enjoy the comfort and safety of this AWD GMC Acadia SLT equipped with many standard features found on other vehicles as optional equipment.